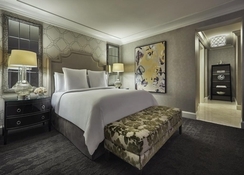 Located right on the Strip next to the Mandalay Bay Resort & Casino in close proximity of all Las Vegas attractions, Four Seasons Hotel Las Vegas is a premium luxury hotel with excellent guest amenities and a is a comfortable recluse from which to explore the adventures of the Sin City. 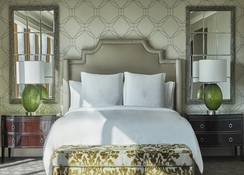 With well-appointed plush guestrooms furnished with large up to the ceiling windows that provide magnificent views of the busy strip or the serene mountains, flat-screen TV and Coffee makers. 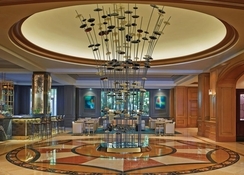 Guests enjoy access to brilliant entertainment and world-famous performances, an award-winning steakhouse and a Forbes Five Star Spa in which to relax. For dining there is Veranda serving Italian, and Charlie Palmer Steak or PRESS for steaks and cocktails. 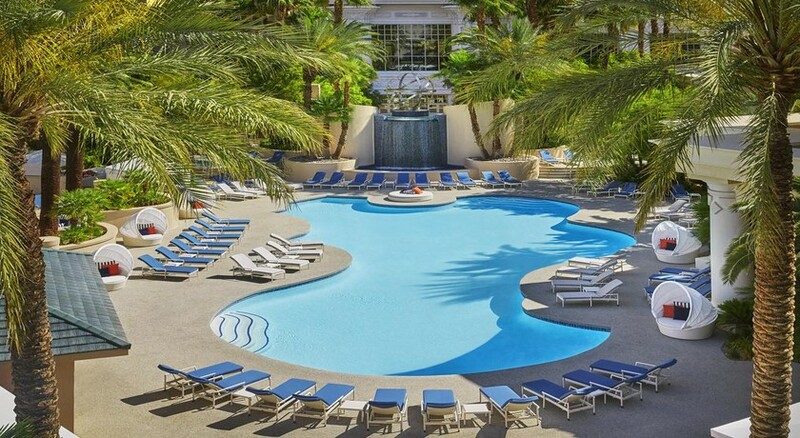 A lovely pool with lazy river surrounded by eight private cabanas offers delightful outdoor fun. Guests can also relax with soothing massages and therapies available at the spa. 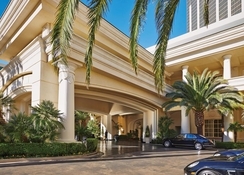 The Four Seasons Hotel Las Vegas is just 1km from the ‘Welcome to Fabulous Las Vegas’ sign. The Strip is the hub of shopping, extravagant nightlife and entertainment in Las Vegas. The Monorail - MGM Grand Station barely 2km away, making it easy for guests of the hotel to explore the entire city. The Bali Hai Golf Course is only a kilometre away! The McCarran International Airport is 4km from the property. 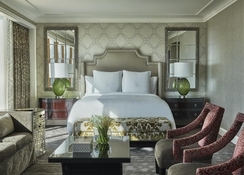 The Four Seasons Hotel Las Vegas has well-appointed guestrooms and suites to suit every need requirement. The guestrooms are painted in bold colours and furnished with art-deco décor and feature sleek furniture, flat-screen TV, coffee makers and marble bathrooms. The lifelike large ceilings provide fabulous views of the busy Strip below. The rooms have unique and interesting artworks and the contrast of colours bring the Las Vegas theme alive. The rooms and suites are categorised as Strip View studio, Strip view room, Deluxe room and Superior room or Presidential Strip View, Sunrise, Valley-View, Strip View, One Bedroom Suite and Four Seasons Executive Suite. Suites with access for the disabled also available. The hotel has an Italian restaurant open all day, serving delicious wood-fired pizzas, handmade pasta and desserts. Charlie Palmer Steak, voted the Best Steakhouse in Vegas is based here serving classic steak dishes in a relaxed ambience. PRESS is a lounge bar where guest can relax with delicious cocktails and light bites. 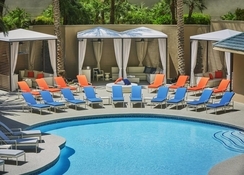 The Four Seasons Hotel Las Vegas has a lovely pool with several private cabanas where guests can relax. They can also access the pools, lazy river and wave pool at the Mandalay Bay next door. There is a sun terrace too with outdoor furniture to soak up the sun. There is a lovely spa providing soothing massages and therapies and high-speed internet access is available across the hotel. The Strip is often considered the hub for shopping, extravagant nightlife and entertainment in Las Vegas and this is where the hotel sits. The hotel provides helpful tour desk and ticket services.